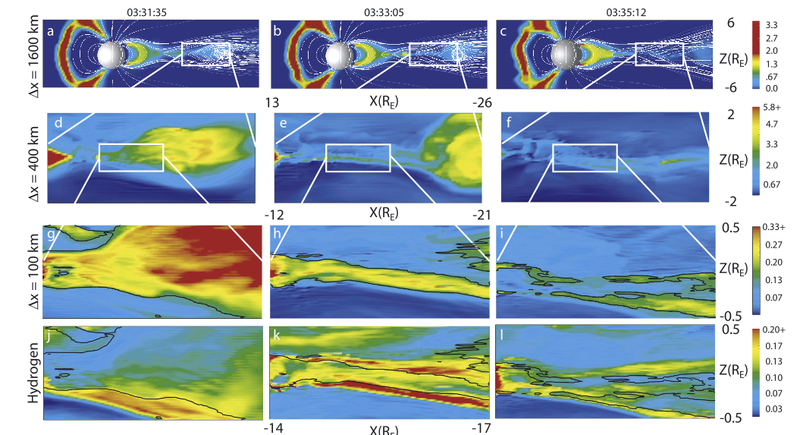 The space environment modeling group at the University of Washington has over the last decade developed a three-dimensional multi-fluid code simulating the interaction of the terrestrial magnetosphere with the solar wind. 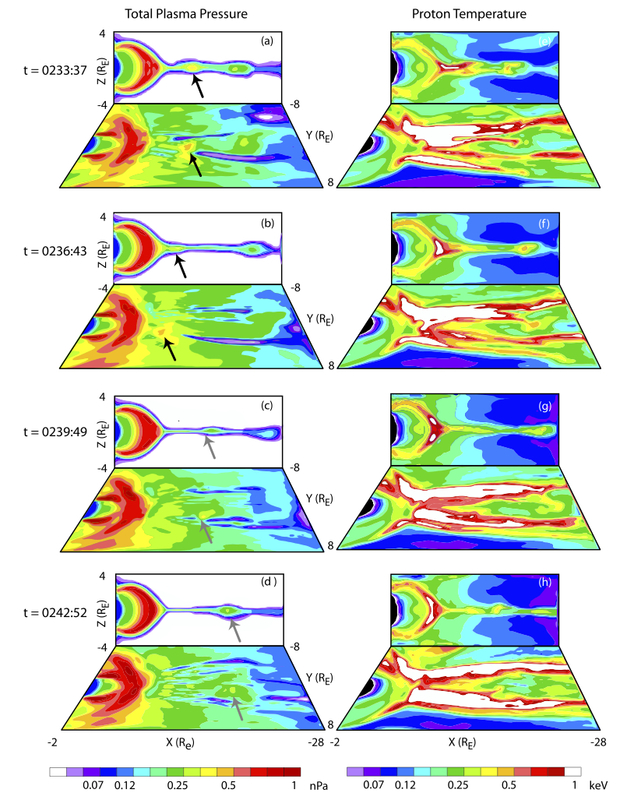 In addition to multi-fluid modeling of the terrestrial magnetosphere, single-particle tracking using time-dependent global magnetic and electric fields have been used by Cash et al. 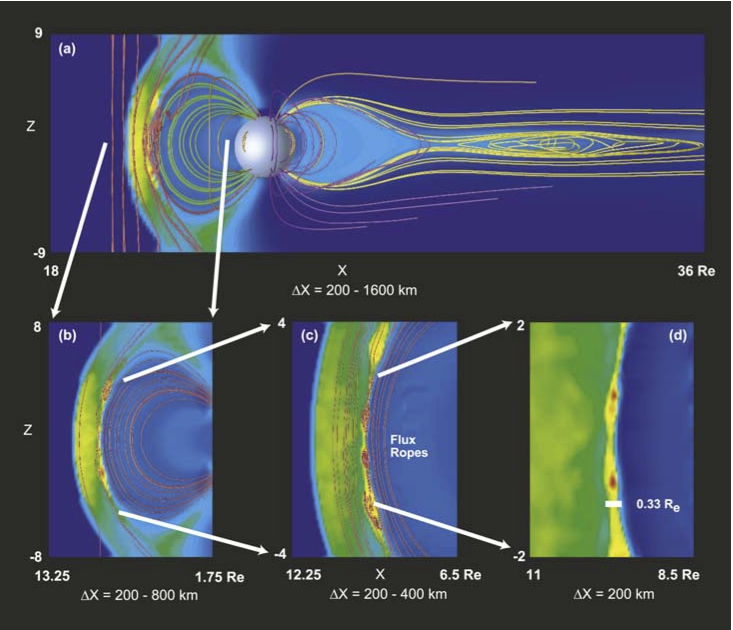 to investigate the generation of the ring current from ionospheric outflows during an internally driven substorm, as well as modeling the 10 March 1998 storm to investigate storm time acceleration, injection and trapping mechanisms associated with the formation of the ring current.